Preparing tasty, healthy meals on a budget can be tough. If you're like many people, these 4 common grocery shopping myths may have you spending more than you should. So what are these myths? Why should they be busted? We've all heard them before: misconceptions about items like brown eggs, frozen vegetables and wheat bread. Its hard to say from where these misconceptions came, but here are the facts that bust them for good. 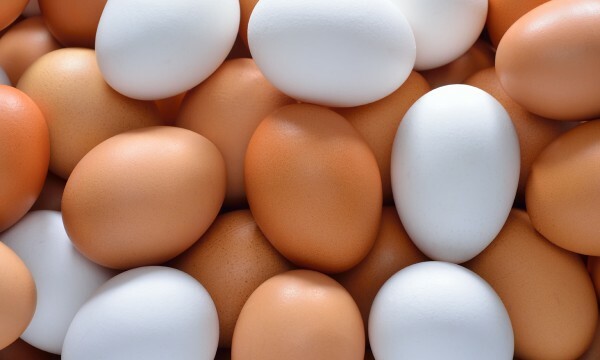 White eggs are actually just as nutritious as brown eggs. The colour has no effect on the nutritional value. Rather, it indicates the colour of the bird's feathers. White hens lay white eggs and red hens lay brown eggs. Grocers often sell brown eggs for a higher price because people think they're more nutritious. You can purchase the less expensive white eggs without worrying about sacrificing nutrition. Many people believe that milk from glass bottles not only tastes better but is better for you. The reality is that opaque containers are better for milk because they do a better job of protecting the milk's riboflavin. Riboflavin is a B vitamin that easily breaks down when exposed to light. 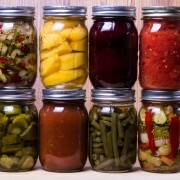 Save money by leaving the pretty glass containers on the shelf. 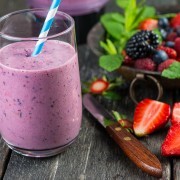 There is no doubt that fresh fruits and vegetables are healthy, but many people don't realize that frozen fruits and vegetables can be just as healthy and tasty as fresh. Frozen produce is picked and processed for freezing at its peak ripeness, when it is most nutrient-rich. Fresh fruits and vegetables, on the other hand, are often picked before they are ripe, so it's possible they are not given the chance to develop all of their healthy nutrients. As part of the freezing process, produce is blanched in hot water or steam, which kills harmful bacteria and the flash freezing locks in the nutrients. Fresh produce is not only more expensive than frozen, but it also goes bad quickly, so purchasing frozen fruits and vegetables is both smart and healthy. Not all brown-coloured bread and crackers are healthy. Just because the label says "multi-grain" or "cracked wheat" doesn't mean that the product is made from whole wheat. 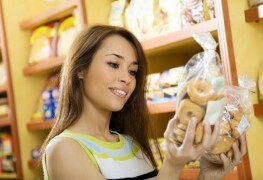 Many of these products are made with enriched flour. The only way to be sure that you're purchasing a whole-wheat product is to read the ingredients and look for the terms "whole" or "whole-grain" preceding the grain's name. 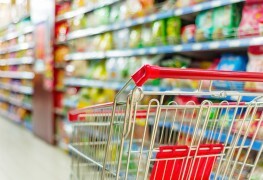 Saving money while feeding your family a healthy diet can be challenging, but busting common grocery myths helps shoppers feel confident about their supermarket purchases.